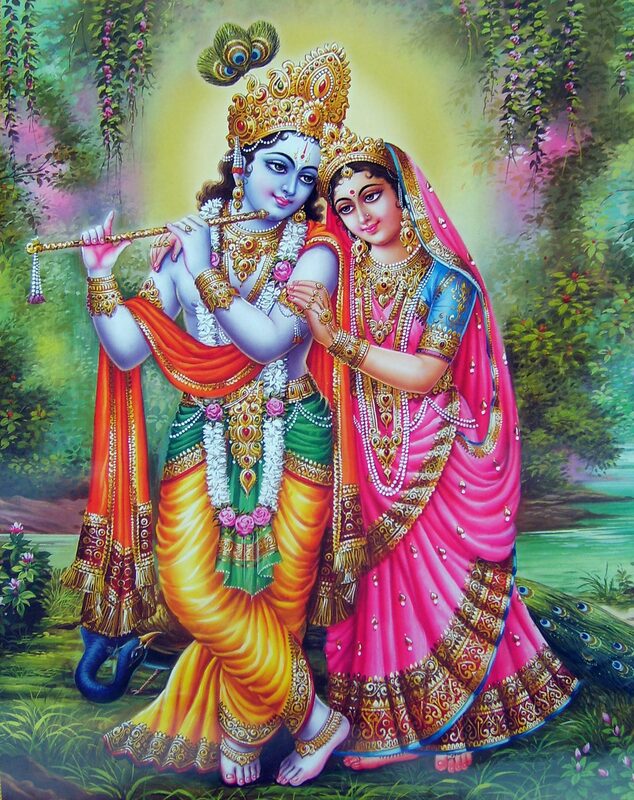 This month is dedicated to Krishna and Radha. Krishna was a reincarnation of Vishnu, and the voice of wisdom in the Bhagavad Gita. Theirs is a great love story. Join Ashi Box at ashibox.com by 5:00pm Mountain Time on August 15th in order to receive this unique Ashi Box. All boxes will be shipped on August 20th, so sign up now! If you have any questions, please contact us at info@ashibox.com. Om Namah Shivaya Yoga Mat Bag – This lightweight yoga mat bag is printed with Shiva’s Mantra, Om Namah Shivaya, so you can take his blessings with you on all of your yoga adventures. So Well Himalayan Salt Tea Light Holder – These Himalayan salt tea light holders create a soft, warm ambiance, while improving breathing, focusing the mind, and providing a deeper, more restful night’s sleep. Shiva spent his life in the Himalayas and these mountains still emanate with his strong presence. Shiva Stainless Steel Water Bottle – Take Shiva with you on all of your outings with this 17oz stainless steel and BPA-free water bottle. It includes a wide-mouth opening, leak-proof screw-down lid, and a mini metal carabineer. It is not microwave or dishwasher safe. Rudraksha Mala – This Rudraksha mala can be used for japa meditation or can be worn to receive the powerful health benefits of the seeds. Legend says that after a long meditation Shiva opened his eyes and shed a single tear due to his pure contentment. This single tear grew into the Rudraksha tree. These seeds contain the energy of this contentment and can aid in meditation practices. Shiva Statue (Murti) – This Shiva statue can be placed in your sacred space or carried with you on days you might need a little extra protection or the reminder that destruction is not necessarily negative and can be a crucial part of creation. Shiva Sticker –Adorn a notebook, journal or your computer with Shivaji. Recycled Varnasi Silk Sari – Repurpose as a handkerchief, sew into a little pouch, or use it to brighten your sacred space. 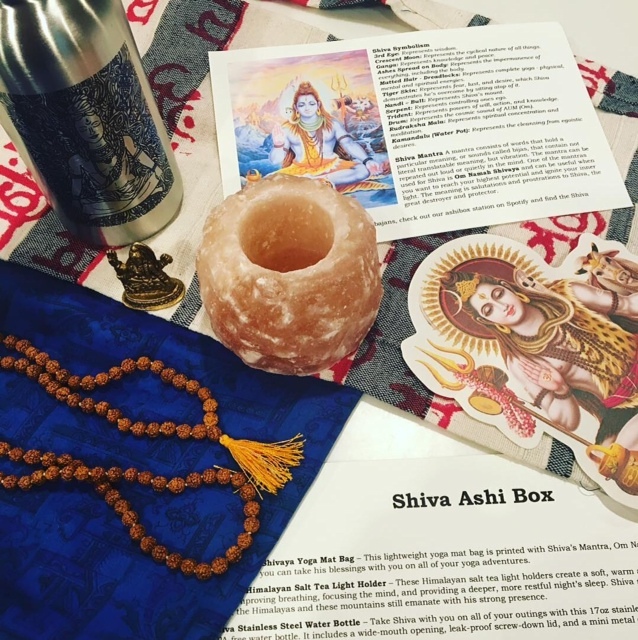 We still have a couple Shiva Ashi Boxes left, so visit the shop at ashibox.com/shop to get yours!